My feelings about going to NCTE’s annual conference this year were mixed. I had recently lost my grandmother, and I wasn’t sure I was up the socializing that usually happens at the conference. On the other hand, I thought perhaps seeing friends and learning would be a good respite. As it turned out, I am glad I went. I was so happy to see my friends, and the sessions I attended were really good. The most exciting thing about NCTE for me was that it was in Atlanta, which meant visiting one of my former homes. I lived in Atlanta for eight years before moving to Worcester in 2012. It’s strange to me that I visited two places that I used to call home in the space of a single week. 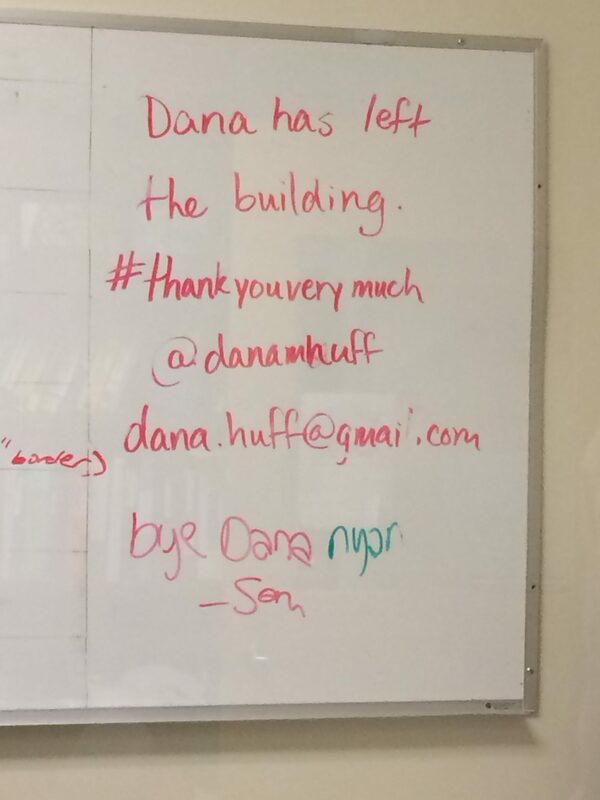 I was able to visit my former school, the Weber School, where I discovered my goodbye message is still posted on the dry-erase board in the tech office. I can’t say how much it humbled and moved me that after four years, it was still there. 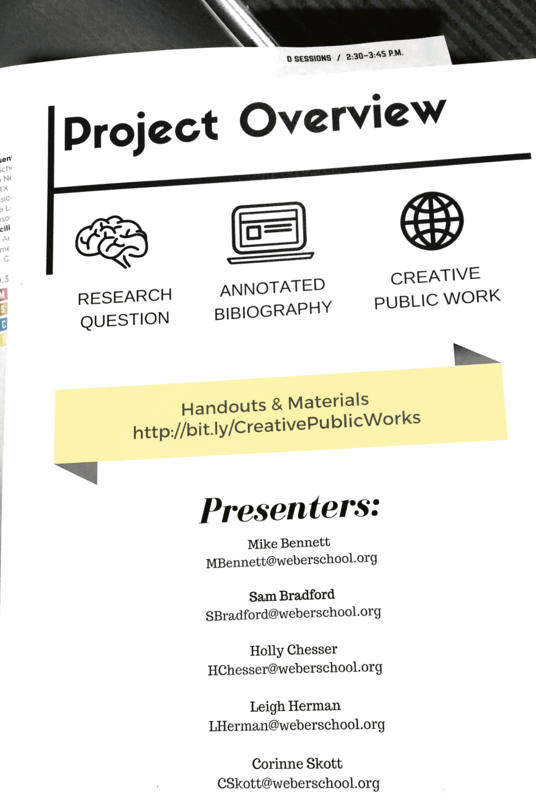 I discovered some really cool projects are happening at the school and connected with former colleagues, both at the school and at NCTE, where they presented at session D.27: Creative Public Works: Research-Based Art as Social Justice Advocacy. 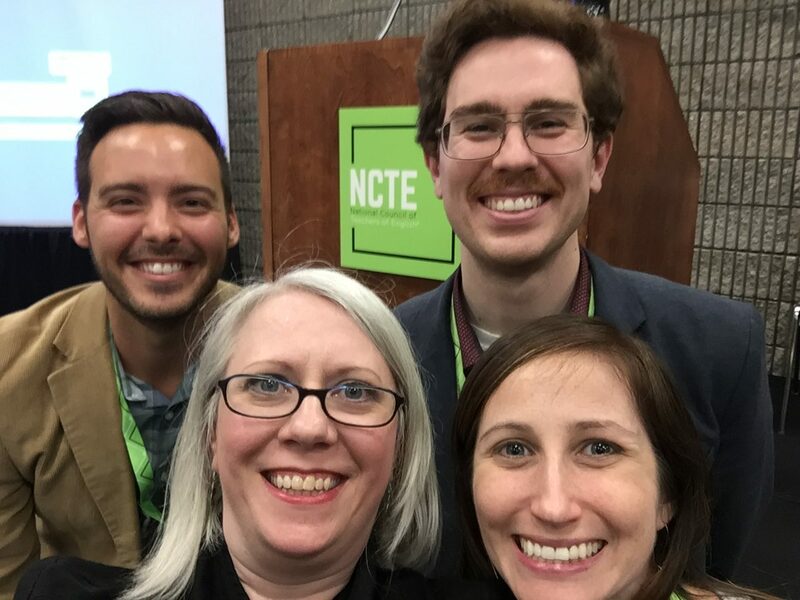 They did a great job, and of course I had to get a selfie (above) with those members of the English department with whom I worked while I was at Weber. Weber is also doing a “minimester” experience for students, which looks really engaging. The minimester is called “Haskalah Term” and includes classes that are interdisciplinary, team-taught courses on a variety of subjects. Both the Creative Public Works project and the minimester idea are things I hope to bring to the attention of my colleagues at Worcester Academy. Other standout sessions for me included F.03: Digital Literacy Can’t Wait: Advocating for Access, Autonomy, and Authenticity, presented by Troy Hicks, Bud Hunt, Sara Kadjer, and Kristen Turner. I was able to get a picture with Bud, whom I haven’t seen in a long time. Troy, Sara, Bud, and Kristen shared their slidedeck online (always appreciated). Sara also took a picture of the two of us, but I haven’t seen it yet. I also enjoyed G.16: A Tale of Two Cities: Multicultural Literature as Advocacy by Nicole Amato and Teresa Strait. These two teachers are doing some cool things with literature and independent reading in their classes this year. I headed to I.01: Arguing in the Real World: Giving Students a Voice in Digital Spaces by Troy Hicks, Alex Corbitt, Lauren King, Valerie Mattesich, and Betsy Reid thinking I might pick up some cool things to share with my AP Lang teachers and that I could use in my own classroom as well, and it was one of the best sessions I attended. The group has a wikispace with a lot of information and lessons. 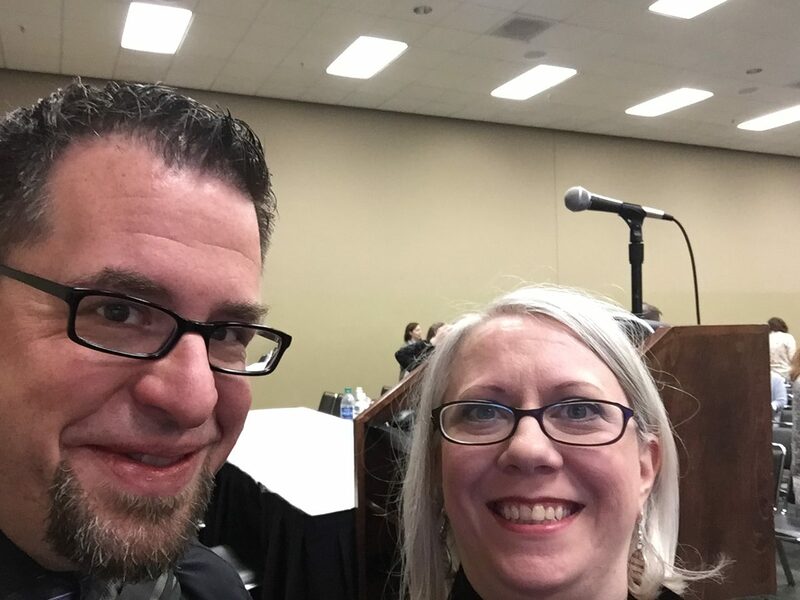 My friend Glenda Funk’s presentation with her colleagues from Highland High School in Pocatello, ID, was another standout (J.11: Corners on Our Curving Classrooms: Restoring Voice to Students and Staff). I had never thought of using restorative justice techniques to analyze literature and character before. I didn’t go to any sessions that were awful. 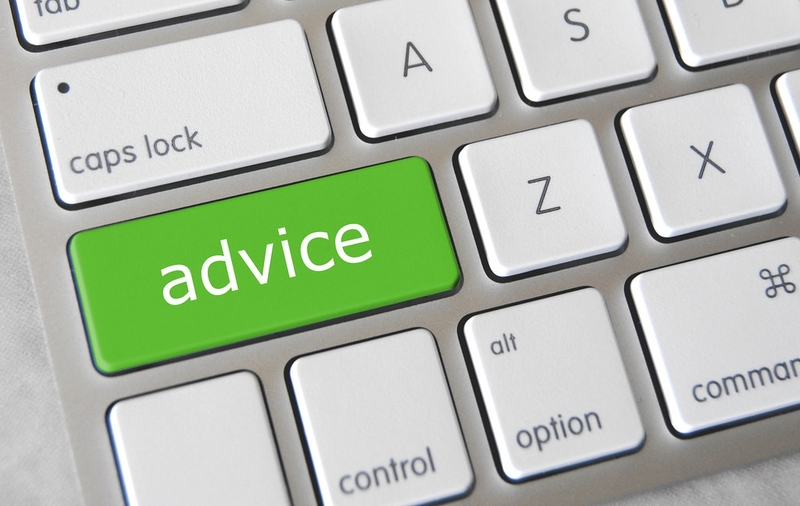 Unfortunately, last year, it was the case that some of the sessions were just not good. However, once again, I do have some criticism, mostly around organizational issues. Just like last year, in most cases, materials are either not posted online or are hard to find. 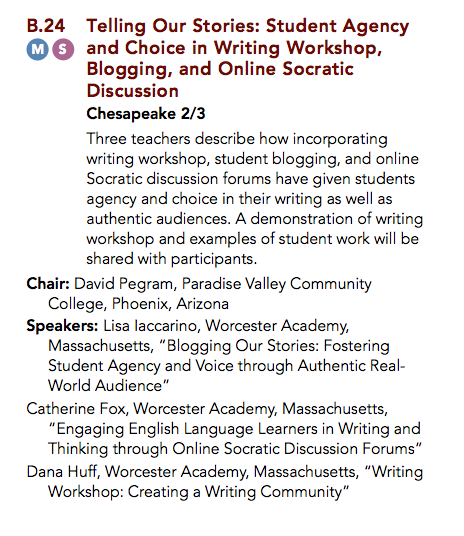 I really think presenters need to take it upon themselves to share their materials somewhere online and not rely on NCTE to coordinate it for them. As a participant, I appreciate having immediate access to materials, right there in the session. Kudos to the Weber School folks and the folks in the F, I, and J sessions I mentioned above for sharing their materials online in an immediate way. The Weber School English teachers passed out the flyer below with links to everything I needed. I went to a fairly interesting B session that didn’t share materials anywhere I could find, and because I came in late, I was already behind in following along. Their ideas seemed good, but ask me what I remember now. 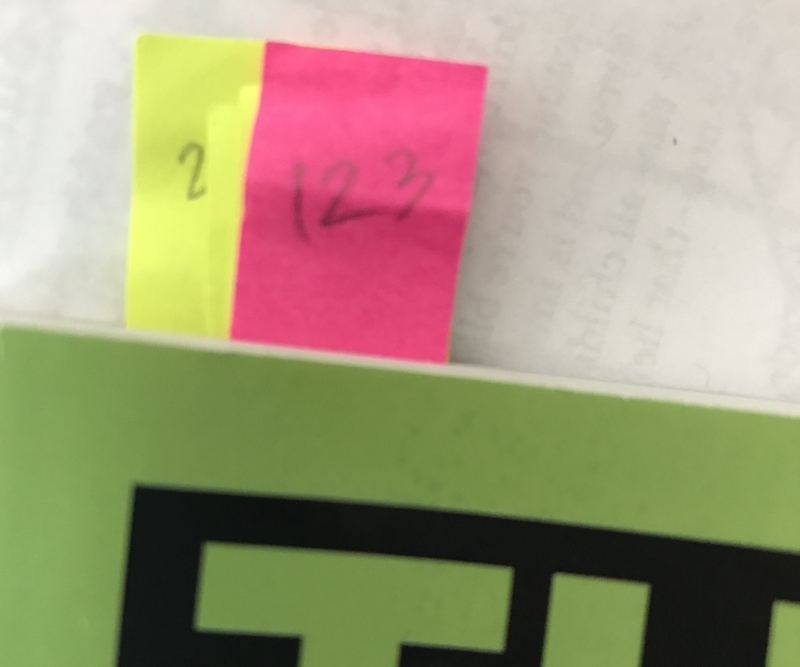 We were doing an interactive activity for much of the session, so I couldn’t take notes, and I can’t tell you the instructions for the activities now. Presenters, teachers want to take what you share right into the classroom when they return. Don’t make it hard for them. If you want to make it hard, don’t present. Ostensibly, you are presenting because you have good ideas you are willing to share. I get trying to make money from the ideas. I try to do that, too. But I have never understood teachers who don’t share. It benefits more students. I always put my slidedeck and any handouts online when I present. It’s a courtesy to participants. That’s why I have to give props to Glenda and her colleagues at Highland. Even though they had trouble with the NCTE folder for materials, they tweeted out their materials so that participants could find them. A few other presenters shared links to their materials in the course of the presentation. I reiterate, it is 2016 and there is no longer any good excuse for not sharing your slidedeck and materials. Make use of URL shorteners, QR codes, or even handouts, but share your presentation and materials. NCTE: you have the power make sharing materials non-negotiable. It can be a part of the requirements for presenting a session. Give it some thought. It seems like NCTE didn’t want a repeat of the protest from last year. I felt last year’s protest was not exactly directed at the folks who needed to hear it (the folks working the exhibit are not the bigwigs at Pearson), but I thought the appearance of this policy in the convention book was interesting, especially given the conference theme of advocacy. Given the theme, I was much more troubled by the appearance of this sponsor’s handout taped up in the bathroom stalls. What message are we sending about assessment if we think outsourcing grading is okay? NCTE has taken a stand against computer-graded writing. It seems to me that asking “teaching assistants” known as “Graiders” is antithetical to NCTE’s philosophy of assessment. I guess the sponsors and exhibitors are not chosen because they adhere to philosophy, though. I’m probably going to get in trouble for what some folks, particularly this organization, will see as unfair criticism of their product, which I admit I have no experience with. 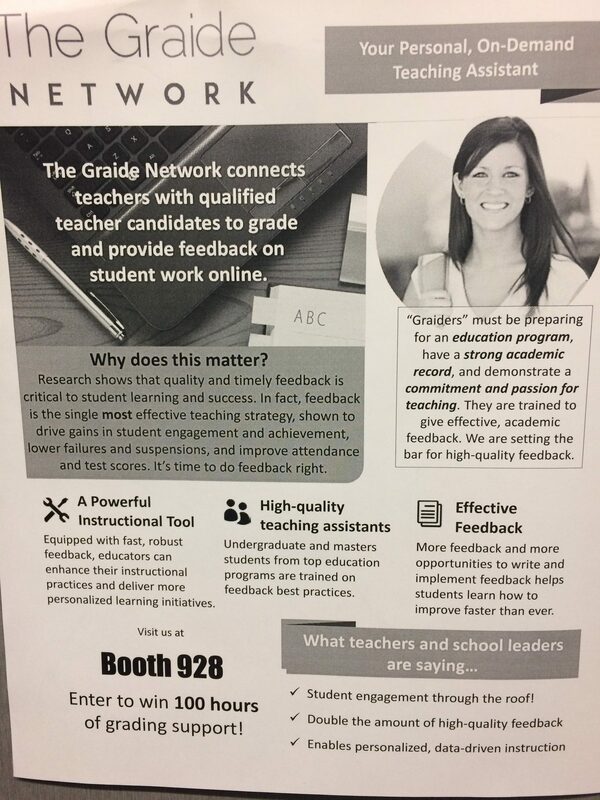 However, I strongly believe that teachers are the best assessors of their students’ work, just as Kevin English said to me when he replied to my tweet about this flyer. If we need to outsource our grading, then we need to take a hard look at what we are asking our students to do. If it’s not valuable enough for us to assess it ourselves, it’s not valuable enough for students to do. I avoided going to sessions I thought might be crowded. 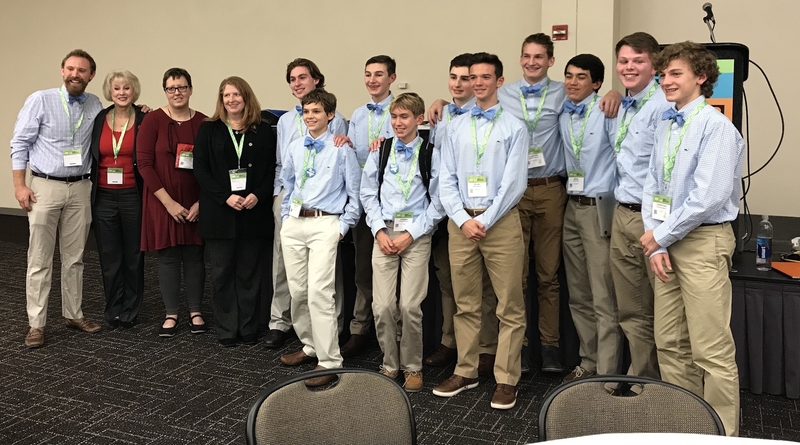 I think we do have some of the “rock star” syndrome beginning to happen at NCTE, just as it did with ISTE, and I avoided sessions presented by the “rock stars.” It’s not that what they say isn’t valuable or important or else so many people wouldn’t be listening to them. However, I worry that we are an echo chamber and that these “famous” voices are drowning out other important voices. 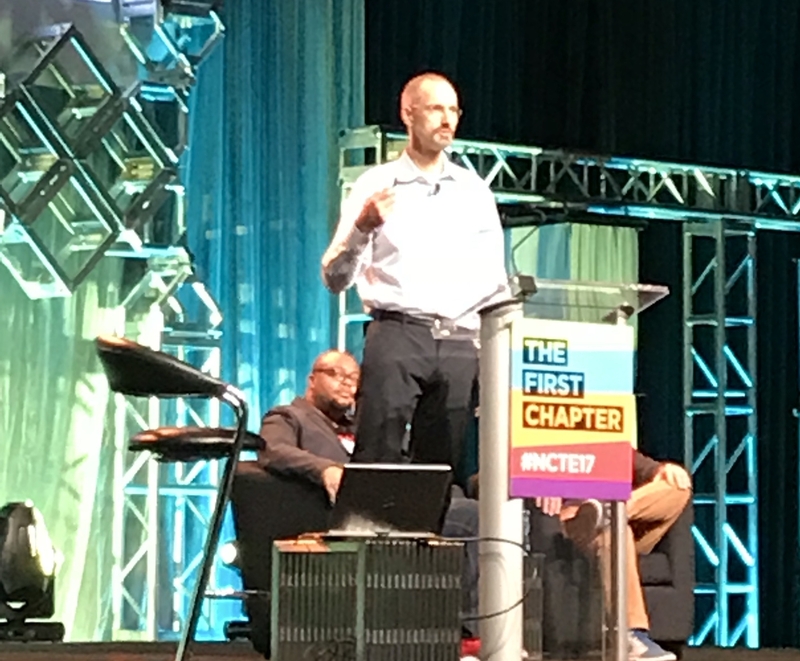 I shared this concern directly with Emily Kirkpatrick, NCTE’s Executive Director, and she was quite receptive, so it is my hope that NCTE is thinking about this issue and the challenges of providing the members with what they want as well as honoring all voices. I didn’t hit the exhibit hall at all. I admit seeing the flyer above put me off. Perhaps it shouldn’t have. I usually go and spend a lot of time in the exhibits. 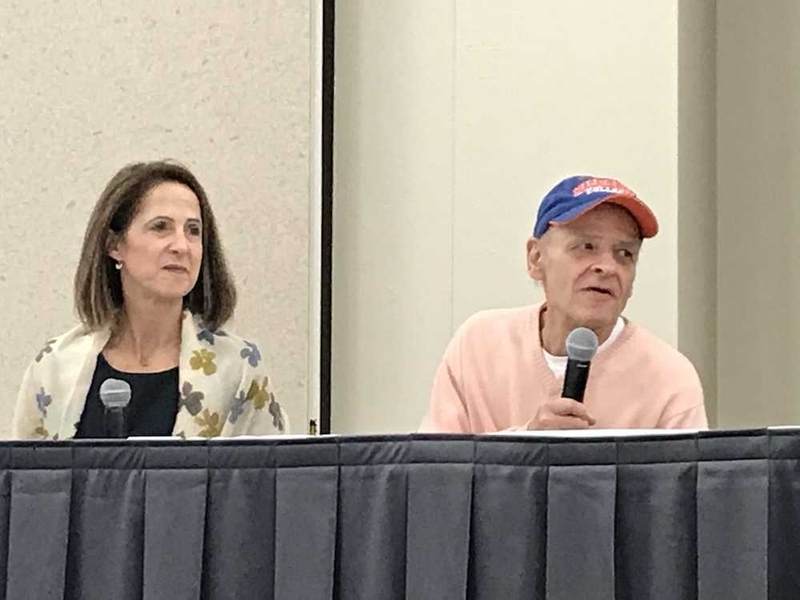 It’s great that NCTE brings so many authors to the convention so that we can connect with our favorite writers. I wasn’t going to be at the convention on Sunday, which is traditionally the best day, as exhibitors slash prices and give away many of their materials to avoid shipping them back home. I might have spent some time in the exhibits if I had stayed through Sunday. I enjoyed the conference theme, which was a welcome balm after the upheaval in politics this year and was great for thinking of ways to advocate both for myself and my students. I also think I like the new branding, which was unveiled at the conference. It is bold and innovative. I think I even like that lime green color. It definitely looks more modern than NCTE’s former branding, and the font in particular communicates the organization is dynamic. Jim Burke led a roundtable discussion in H.24: Reading and Writing: Pathways for Students to Creative Thinking, Innovation, and Problem-Solving on Design Thinking. He is either writing or about to publish a book on the topic and challenged us to think of our students as “users” in designing our curriculum, learning experiences, and assignments. I challenge NCTE to continue to improve with regards to the learning experiences of its members. Make accessing materials the easiest thing in the world, because it totally can be, and it wouldn’t be that hard to do. Continue to think about spaces. The gender-neutral bathrooms were great. It really helped with the long lines in the women’s room this year. I went to one session, ironically the one I mentioned earlier in this paragraph, that used only half the room for the roundtables, and we were cramped and sitting practically on top of each other. We could have used the whole space better by spreading the roundtables out. In all, it was another great learning experience, and once again, I’m glad I went. 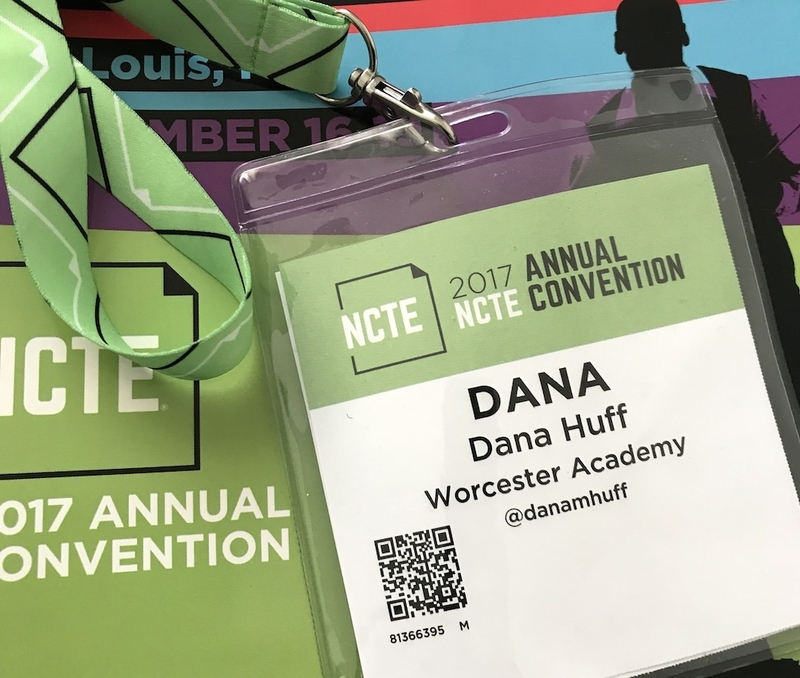 I remain grateful to my undergraduate English Education program, in particular Sally Hudson-Ross and Mark Faust, for inculcating the importance of NCTE membership and conference attendance in their students. 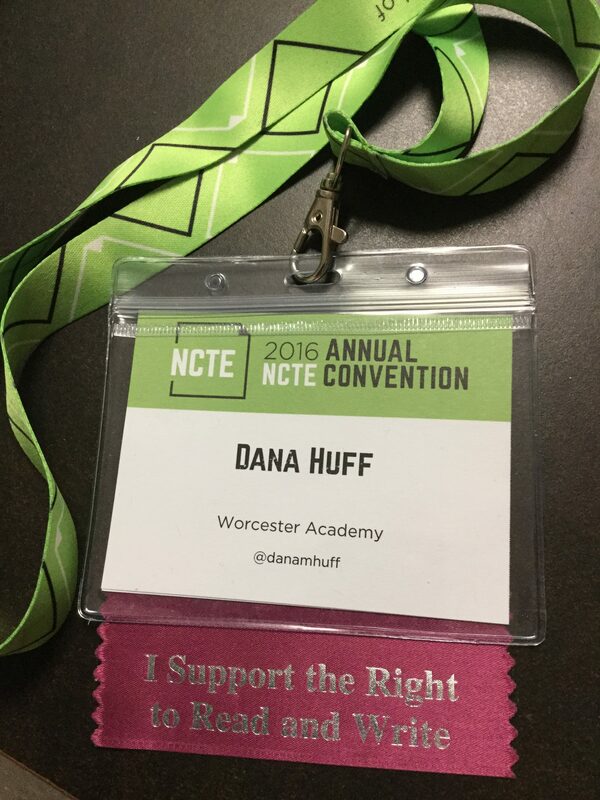 Many English teachers in the country remain unaware of the excellent resource that is NCTE. We have work to do. 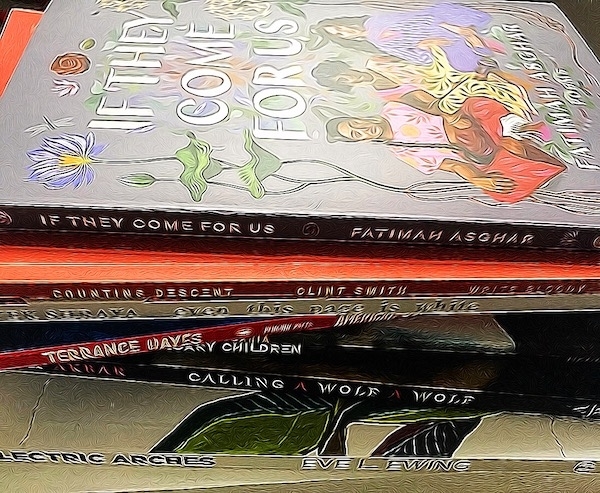 I went to a session at the end of the day on Saturday, K.18: Poet Advocates: Using Poetry to Advocate for Teaching and Learning in the 21st Century. 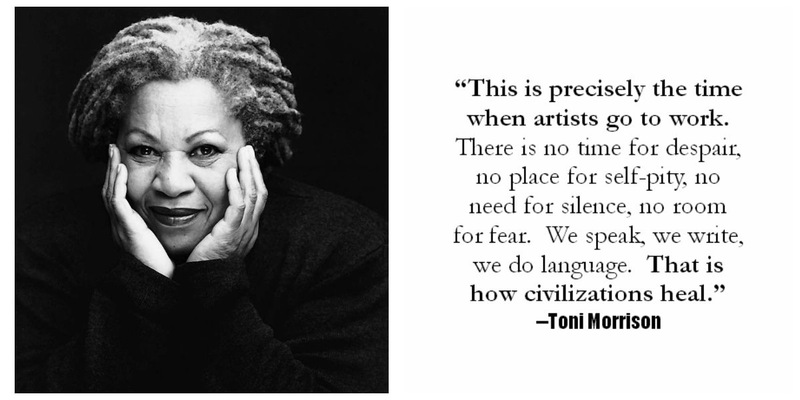 I immediately thought of this quote by Toni Morrison. It was tweeted by @KarenAndAndrew, but I’m not sure who created the image, so if you find out who it was, please let me know. Reverse image searching didn’t do much to help. What Morrison said about artists going to work goes for teachers, too.